A reliable source for Stability Chambers information and a resource for accessing leading Stability Chambers and suppliers. Stability chambers are used in research and product development for pharmaceutical, food technology, biomedical storage, life science and more. Stability chambers can even be used to find a defect in a product prototype before it goes in to full-scale production. The humidity levels in a chamber are controlled through the use of humidity capsules. These capsules are pierced and placed in the camber prior to testing. The test material is then placed in the test compartment and a special sensor cap is used to seal off the chamber. Stability Chambers Stability chambers are used in research and product development for pharmaceutical, food technology, biomedical storage, life science and more. Stability chambers can even be used to find a defect in a product prototype before it goes in to full-scale production. The humidity levels in a chamber are controlled through the use of humidity capsules. Stability chambers are a type of environmental test chamber that are used to measure the effects of particular circumstances on everything from biological materials, industrial materials and even electrical components. They are called stability chambers because they allow for a stable, controlled environment where all variables can be held constant while others are modified to test their effects. Stability chambers are primarily used to detect humidity and temperature ranges. 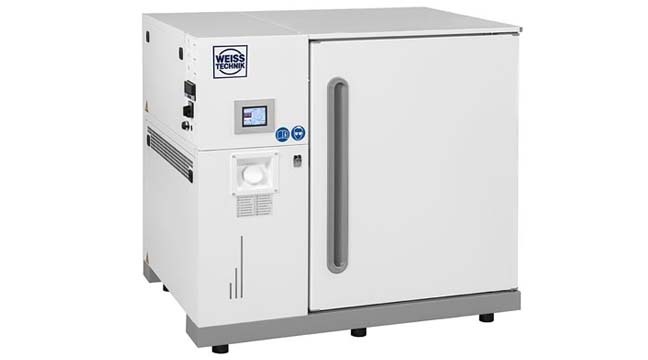 Stability Chambers – Weiss Envirotronics®, Inc.
Tests are not limited to humidity levels, as many stability chambers are capable of testing everything from temperature to the effects of thermal shock. Some high temperature applications are tested in chambers that can replicate conditions of over 200 degrees Celsius. Sometimes stability chambers are used by pharmaceutical companies to prove the shelf life of a drug. Regulatory authorities want to know exactly how long a product can be stored before it expires. New chambers are tested for performance and must be regularly maintained during their lifetime. 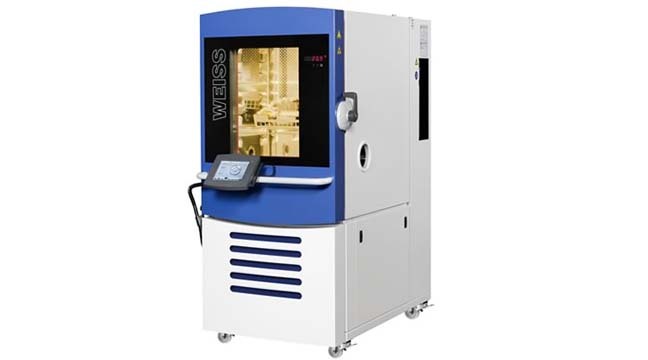 Since the tests performed in stability chambers have such drastic implications, it is critical that chambers function correctly and that their calibration for various conditions is absolutely exact.